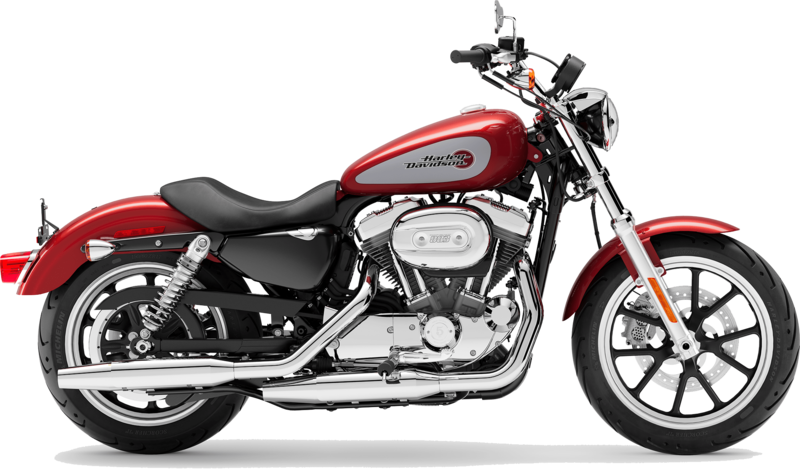 The 2019 Harley-Davidson® Sportster® SuperLow motorcycles are now for sale at Latus Motors Harley-Davidson®. As a trusted motorcycle dealer near Portland, Oregon, we love to help riders discover their ideal new Harley®. Stop by our new and used Harley® dealership to enjoy our full selection of 2019 Harley-Davidson® Sportster® models. The 2019 SuperLow features a well-balanced stance and low center of gravity for easy liftoff. The comfortable cockpit is enhanced by a low bucket seat and easy-grip handlebars. 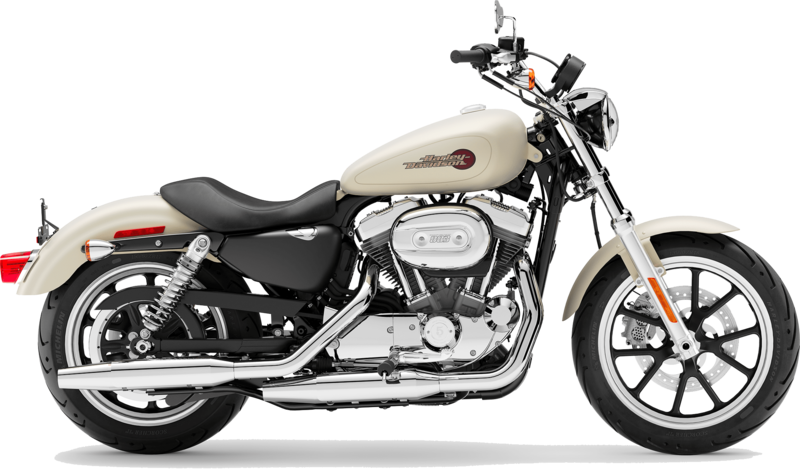 This SuperLow is ideally suited for smaller riders. The SuperLow is ergonomically designed for lifting off its side stand, handling, and turning with ease. An 883CC air-cooled evolution engine motivates the bike. The saddle features easy-to-grip handlebars for a comfortable shoulder position on long rides. When you are ready to lease or finance your next Harley®, talk to our finance associates about your credit-application. We can tell you more about the financing process and Harley-Davidson® lease options. Take home a new 2019 Harley-Davidson® Sportster® SuperLow today! The 2019 Harley-Davidson® SuperLow distinguishes itself from other Sportster® motorcycles with its low bucket seat, advanced rear suspension, and 883cc engine. Whether you are looking for an efficient drive to work, a new canyon carver, or something for longer journeys, you'll appreciate the 25.5" seat height. Maneuver your bike through tight turns and parking garages with ease. Just because we're in for the long-haul doesn't mean we need to be uncomfortable. The emulsion rear shock with screw adjuster allows you to easily adjust the suspension to suit your riding style and soak up every bump on the roads of Salem, Oregon. After you join the Latus Motors community of riders near St. Helens, Oregon, we hope you'll participate in our monthly rides with Latus. We invite you to visit Latus Motors Harley-Davidson® to explore the 2019 Harley-Davidson® SuperLow. We share your passion. Throw your right leg over the saddle of the 2019 Harley-Davidson® Sportster® SuperLow and attack the horizon. Weight, In Running Order 569 lb. Vehicles depicted may differ from vehicles manufactured and delivered. Specifications and prices listed may differ from specifications and prices of vehicles manufactured and delivered. All product descriptions (including depictions, specifications, dimensions, measurements, ratings, and competitive comparisons) are based on available information at the time of publication. Although such descriptions are believed correct, errors and changes can occur, and complete accuracy cannot be guaranteed. Harley-DavidsonÂ® may make changes at any time to prices and specifications and may change or discontinue models, without notice and without incurring any obligation.Attention: Vehicles in the configurations shown and many of the accessories described in this catalog may not be available for sale or use in some locations. Please check with your dealer for complete product details and the latest information. 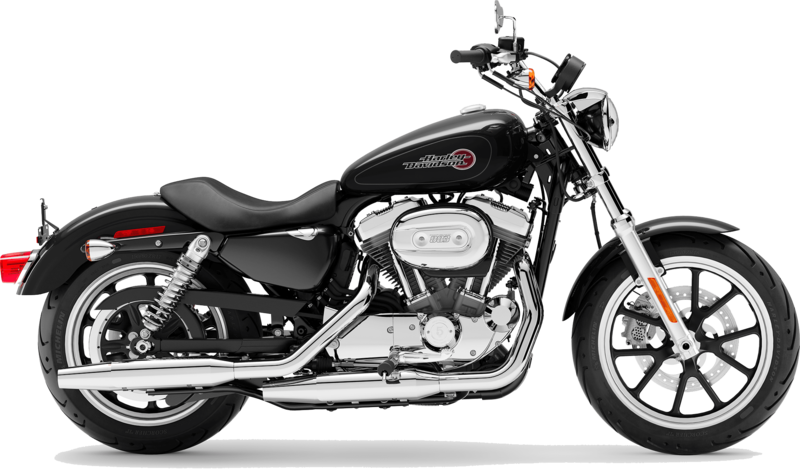 All models feature 6-speed transmission (V-Rodâ„¢ models and Sportster®Â® models are 5-speed) and carbon fiber belt final drive; multi-plate clutch with diaphragm spring in oil bath; and 2-year unlimited mileage warranty.